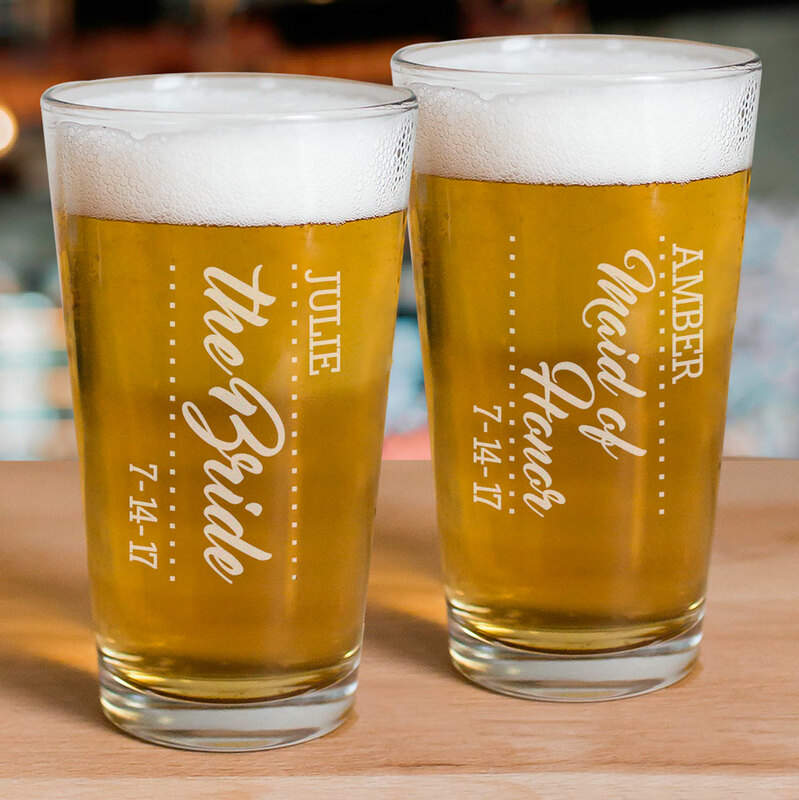 Toast the day in personalized style with Our Personalized Bridal Party Glass. We'll artfully engrave each glass with any name, title and any date for all to see. Whether they use their glass for a bridal shower, bachelorette party, or the wedding day, this personalized glass will be cherished for years to come! *Note:Glasses are sold singly, not in sets.